So, as I mentioned last week, I’m keeping these weekly updates short and only with progress reports on selected areas. Over the past week I’ve had some pretty good progress health and exercise wise, so here’s my update! 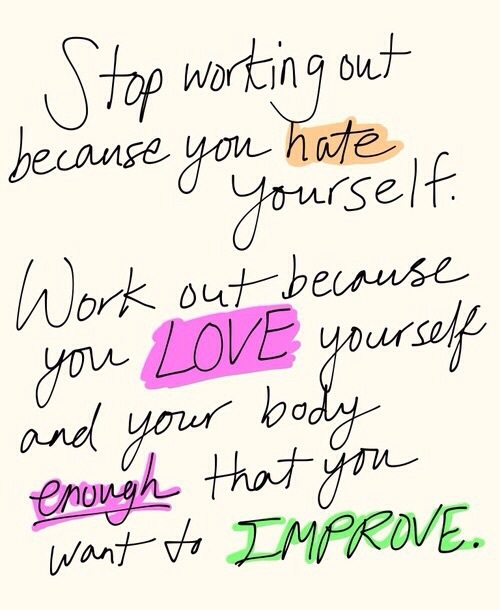 I have been so focused on channelling any negative feelings and frustrations I have into exercise. Over the past few weeks, a combination of both feeling unwell and feeling crap emotionally led to me to barely getting to the gym. However, my gym coach reminded me how helpful the gym is to me: I have a chance to let off some steam and to put all my energy into exercising, whilst always feeling so positive and refocused afterwards. So, based on the advice of my coach, I set out to meet some exercise goals last week. I’m pleased to report that I stuck by every single one, and even exceeded one of my goals: I managed to get to the gym 4 times a week, do over 10,000 steps 5 days in a row and walk every day in my lunch break at work! Even though I had a very busy week, and had days where I really wanted to stay at home and watch Netflix, once I got to the gym and completed a workout I didn’t regret my decision. I managed to even get an extra surprise, as through the week’s solid efforts I managed to somehow lose 1.2 kilos in the process. So, in light of the above, I’m yet again reminded about how powerful exercise is for having a healthy mind and for relieving stress. Even if I do a small walk, and complete a pretty dismal workout at the gym, the effect it has on my ability to stay positive and cope throughout the week is incredible. I’m definitely aiming to keep this up, and just monitor how exercise helps me maintain a positive attitude and lifestyle.